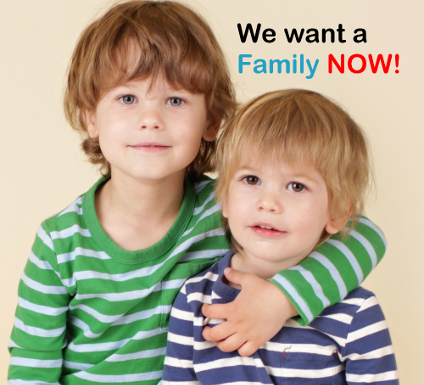 Families NOW | Help Us Keep The Promise! Families NOW opens doors to permanent families for children in long-term foster care. We are making a measurable impact across the state. Childen waiting in foster care now have a greater probability of achieving a permanent family thanks to the work of Families NOW. All gifts made in July and August 2017 will be matched up to $10,000 thanks to our generous donors, Roger Niello and Donna Benner. Thank you for helping us exceed this goal! Donate 100% - Add 3% so that 100% of the donation goes to Families NOW. Families NOW has partnered with Network for Good to securely process your online credit card payment via Network for Good (tax ID 68-0480736). This transaction will appear on your credit card statement as "Network for Good." This transaction is subject to Network for Good’s Privacy, Security & Disclosure Statement and the Charitable Solicitation Disclosure.